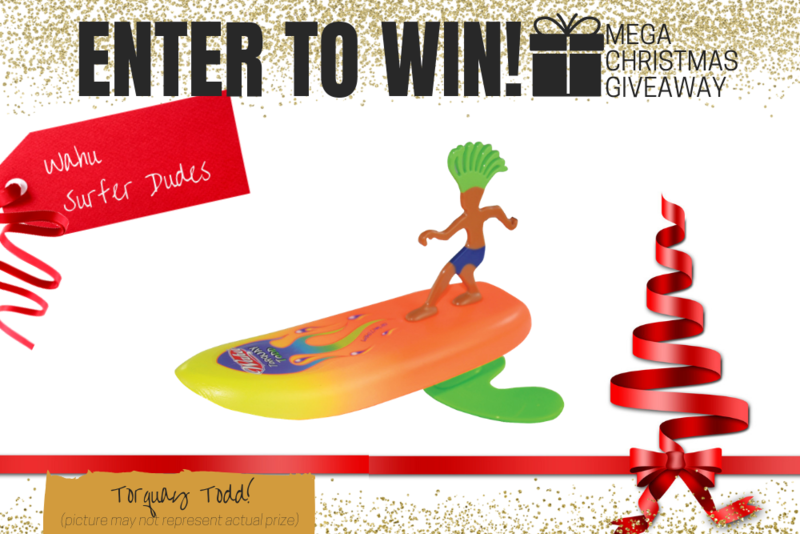 Wahu Surfer Dudes are the world’s first self-surfing, self-righting Surfer Dude toy! Throw them into the surf and watch them shred some waves and then boomerang right back to you. They have an internal ballast system to keep them upright on the waves and combine hydro-boomerang technology with unsinkable foam boards. Choose from the twelve individual little dudes with radical board graphics or collect them all! No batteries required! Suitable for ages 6+. Available at all leading retailers. 1. **Wahu Surfer Dudes - Torquay Todd. Total Prize Value $19.95** AUD (the "Prize"). 2. It is the responsibility of the winner to collect the Prize within 7 days of the end of the Competition Period from the Promoter’s Mornington office. 3. The Prize, or any part thereof, must be accepted as awarded and is non-negotiable, non-transferable to another person and non-convertible and is not transferable for cash. 4. The prize must be collected from the Promotors Mornington Office, unless otherwise advised.